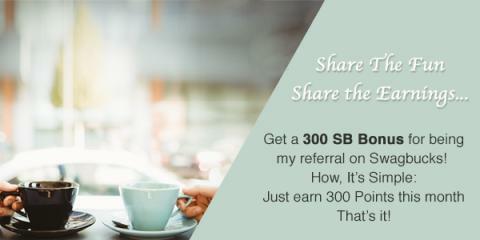 Get 300 bonus SB when you sign up for Swagbucks in August - Who Said Nothing in Life is Free? 3. That’s it. It’s super easy, and Swagbucks is for real. I use it myself !